Motivated by the basketball madness this March? 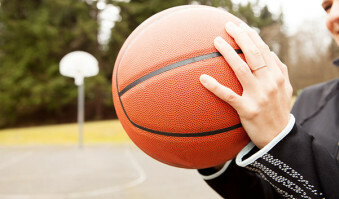 Take it to the hoop and get fit! More. The sunrise side of the Cascades offers a bright respite from wintry doldrums that's perfect for winter hikes. More. Imagine stepping off the trail and into a pristine, natural hot tub that's seemingly waiting just for you. More. Ready to go snowshoeing near Seattle? Here are 5 of our favorite places to experience winter via snowshoes. More. Trails all around Seattle beckon hikers. But going to the mountain is a time-consuming foray. Enter urban hikes. More. 5 Stunning Northwest Lake Hikes from Oregon to B.C. We're blessed with our fair share of natural treasures. But there’s nothing like Northwest lake hikes. More.